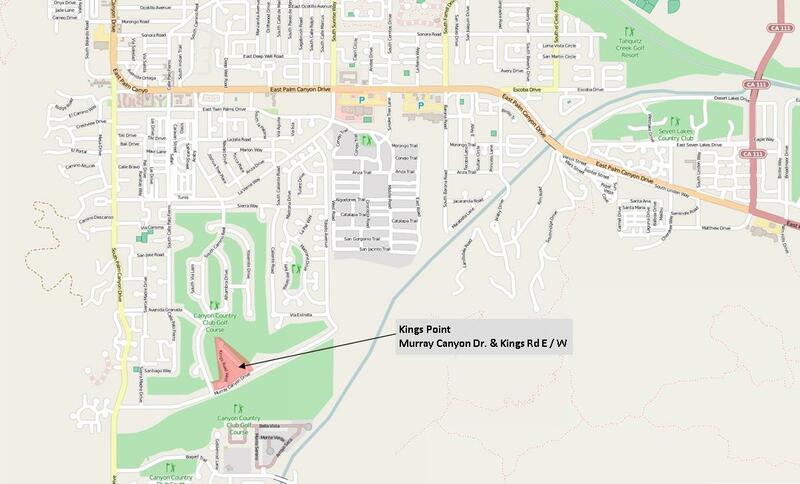 Kings Point is a collection of 43 William Krisel, AIA-designed detached condominium homes in south Palm Springs, CA. Kings Point was developed and built by Bob Grundt between 1968-1970. Each home either borders the Indian Canyons Gold Club or a common greenbelt area. All homes are modernist, featuring flat roofs, shallow front yards and generous sized floorplans. All homes features a two-car garage and with the exception of Murray Canyon Road, are accessed via private, narrow streets. 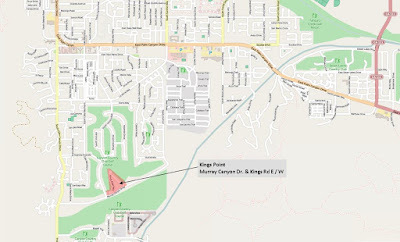 The development is located in south Palm Springs, off of Murray Canyon Road where it hits Kings Road East and Kings Road West.